The Connecticut State Library and the Museum of Connecticut History need your help!! The Museum of Connecticut History has great stuff but not every school can get their students to Hartford to see many of these treasures first hand. 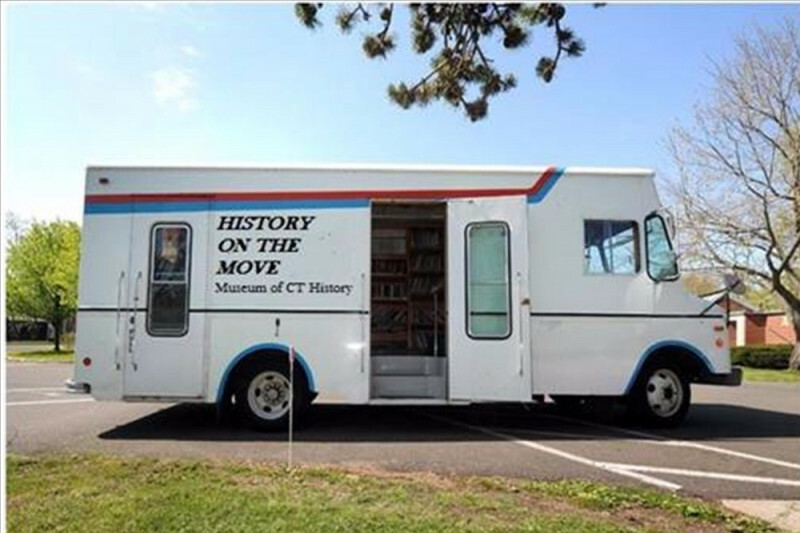 By helping us refurbish our old bookmobile, our Museum Curator can load it up with fascinating artifacts for display and present wonderful programs to schools around the state. Any amount will help; no amount is too small. If you choose to donate to this cause, please leave your name and a short message so we can account for those who donated to the project. If you choose to stay anonymous, that is fine as well. We have set a goal of $20,000 which will cover the restoration project. Kids need history to come to them! See the bullets made from a Statue of King George to fight the British after Bunker Hill in Litchfield, CT.
Great idea especially in a time of tight budgets and cutbacks for schools.